We’d both like to say a personal thank you to everyone involved in preventing the Cycle King fire from spreading into The One Bull on Friday evening. 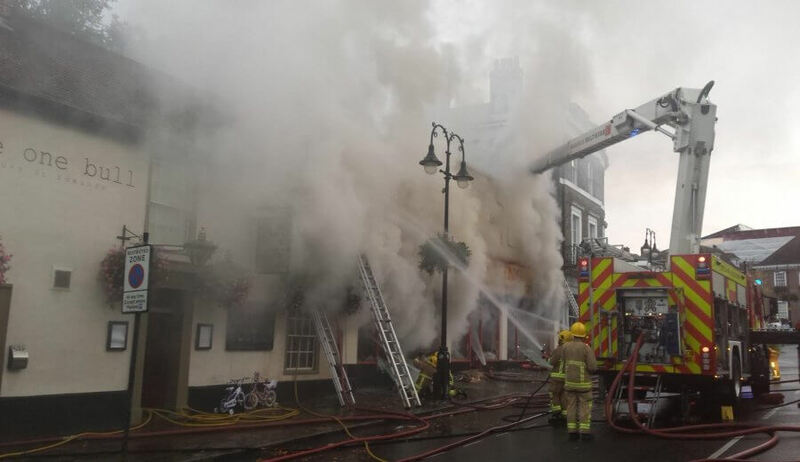 It was an incredible team effort and we are hugely grateful that no-one was hurt and that our historic pub is still standing. We’d also like to extend our thanks for the many messages of support we’ve received from so many of you since the fire on Friday evening. Our pub and flat are both damaged but we will re-open the pub as soon as possible and will update you just as soon as we know more. Thank you also to all of our staff for your help on Friday and as we move through the next few weeks.